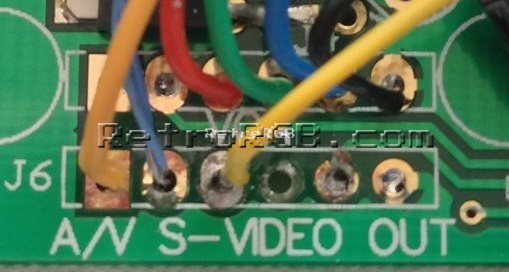 This mod shows you how to modify the Innovation TV-out adapter to output RGB. 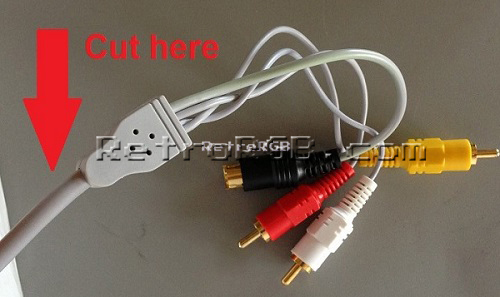 Please keep in mind that this adapter only outputs interlaced 480i, not progressive 240p. If you’ve gone through the trouble of installing this adapter, the RGB mod is worth doing, but I wanted to warn you in advance what to expect. 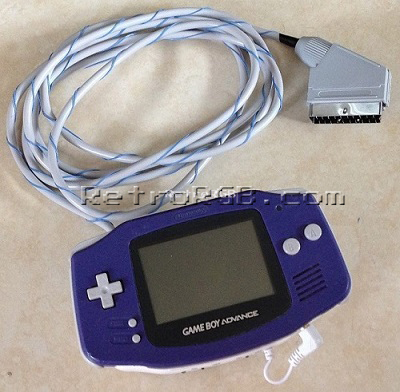 Before you start this guide, please make sure your Game Boy Advance is properly working both by itself and with the Innovation TV adapter. If not, check out the main GBA page for help and more information. 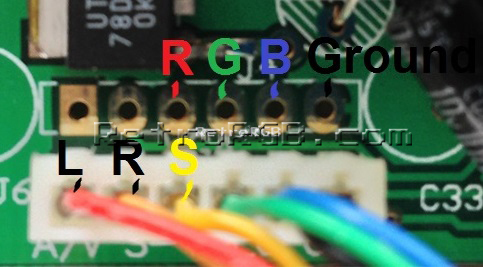 If your modded GBA is in good working order, you can now move along to modifying for RGB!! The sync (S) is actually the composite video out. I’ve seen other diagrams floating around the internet that say you should hook sync to a different pin, but that never worked for me (I’ve done a few of these). 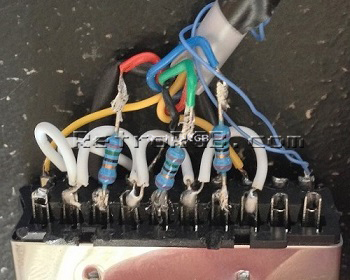 At this point, you need to solder the wires into a connector. Most people use SCART for RGB, but you can use anything you’d like. I used a spare Wii SCART cable I had laying around that only cost $5, but anything will do. 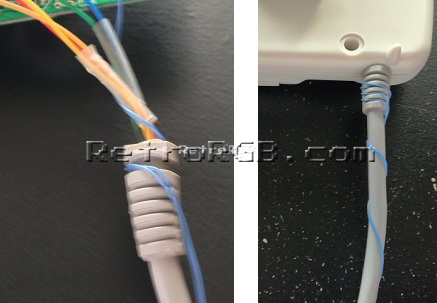 After that, put the SCART connector back together and give it a try! Now that you’re done, feel free to go back to the main GBA page. If you’d like info on mods for other systems, head to the Getting RGB From Each System page or check out the main page for more retro-awesomeness.